Home » Looking Good » Stock Up on Stylish Winter Clothes from Athleta! This post about stylish winter clothes has been sponsored. All opinions are my own. For the last week, I have been up in New England visiting family. Georgia doesn’t usually have hard winters so my winter clothes selection is pretty limited. There have already been snow flurries up in Vermont so I am a bit chilly! I really wish I had some stylish winter clothes and may buy a few new outfits when I get home. My 10 year old sweaters are a bit frumpy. If you want to upgrade your wardrobe, I highly recommend checking out the winter clothes from Athleta. Their winter collection is not just hip and attractive but also well made. And you can even enter their current giveaway for a chance to win some new clothes for yourself! 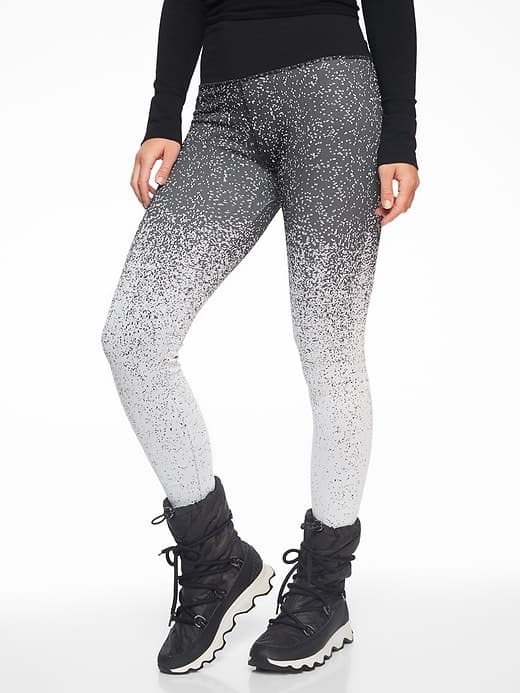 I love the Flurry Ombre Tights they have this season. The pattern reminds me of a winter snowstorm! They are great for winter workouts. The seamless fabric stretches with every move and the ribbed waistband is comfortable no matter how hard you are moving. Check out their ombre tights HERE if you want to try them! You can shop a great selection of new winter arrivals as well as some amazing deals that are up to 75% off. Shop the Athleta new arrivals HERE. I love their selection of tights, winter coats, and warm, long sleeve shirts. Or, check out the great prices and get up to 75% off their final sale at Athleta, Check out the Athleta final sale offers HERE. Get free shipping on orders over $50. This is a limited time offer, though, and some exclusions may apply. 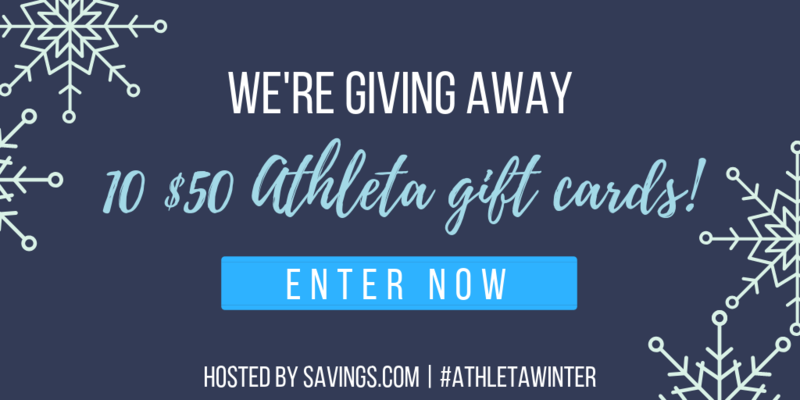 Enter the giveaway by heading to the Athleta page on Savings.com and submitting your email address on the form at the top of the page. The winners will be chosen through a lottery drawing and notified on Monday (10/29) via the email address you use to enter. Athleta has just released their new winter collection. You can check out the amazing deals on their hip winter clothes below. So, organize your closet and start investing in a few new winter clothes!